January 28, 2010 Dan O.
Elijah Wood will never be able to live down his role as Frodo no matter how good he is. A young American Jewish man begins an exhausting quest — aided by a naïve Ukranian translator — to find the righteous gentile woman who saved his grandfather when his small Ukranian village (along with most of the populace) was obliterated during the Nazi invasion of Russia in 1941. Stars Elijah Wood, Eugene Hutz and Boris Leskin. Liev Schreiber directs. The film is based on the novel by Jonathan Safran Foer, and telling just by the premise you wouldn’t think that there would be time for some humor, when really there are some actually funny moments. The film blends a lot of funny absurdest comedy with its very dramatic undertones. I mean its a different type of comedy that does feel a bit dry and dark, but at times it really connects, but then at times it doesn’t quite hit the mark but it does lighten up the mood. What is equally surprising is that it is not a comedy. It is, in fact, a touching and poignant story that celebrates the importance of remembrance, the power of secrets and the meaning of friendship. It does this by creating unforgettable characters and placing them in a historically rich environment. The problem with this film is that I felt like way too many parts were just put in to just be artsy. Schreiber’s directorial debut does seem inspired and is actually impressive, but it shows way too many times he was going for the different and articulate look rather than just sticking with the original source material. I didn’t like how the first 2/3’s of the film was based on ironic situational comedy, and then by the last 30 minutes was switched into this very depressing Holocaust drama. I think this turn right by the last act changed way too much about the film, and should have kept with its whimsical taste the whole way through. Wood does give a pretty good performance here but doesn’t feel authentic enough. I feel like those glasses should have been removed from his character, cause not only were they a bit distracting, they just made his character look too much like a comedic effect person. 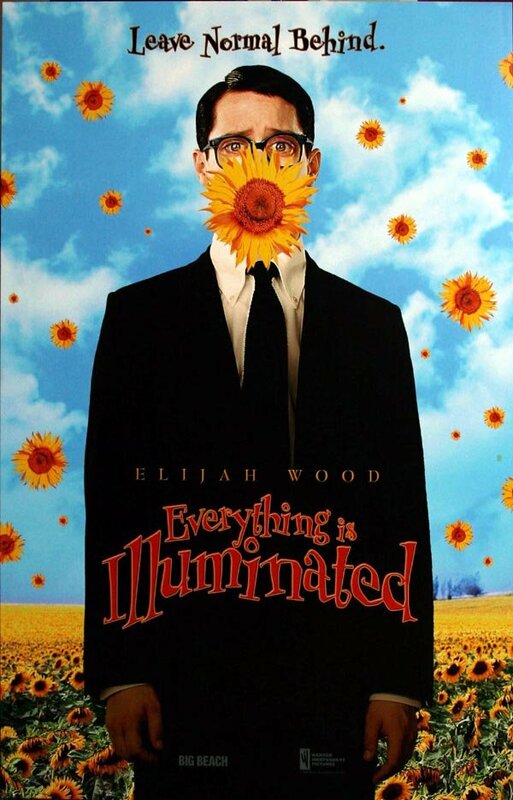 Consensus: Though it is pretty hit and miss with its whimsical flavor, Everything is Iluminated has a nice poignant story, that shows Schreiber can direct.